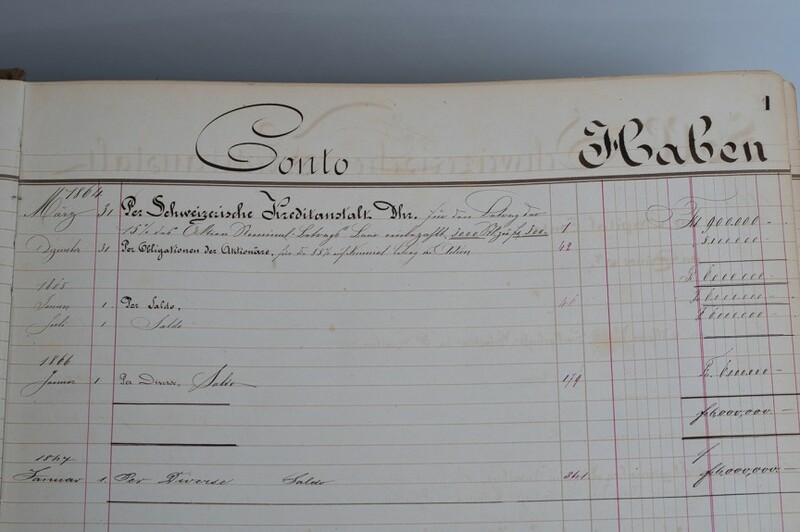 The first "Hauptbuch" (general ledger) of Swiss Re covers the company's first three years of business. 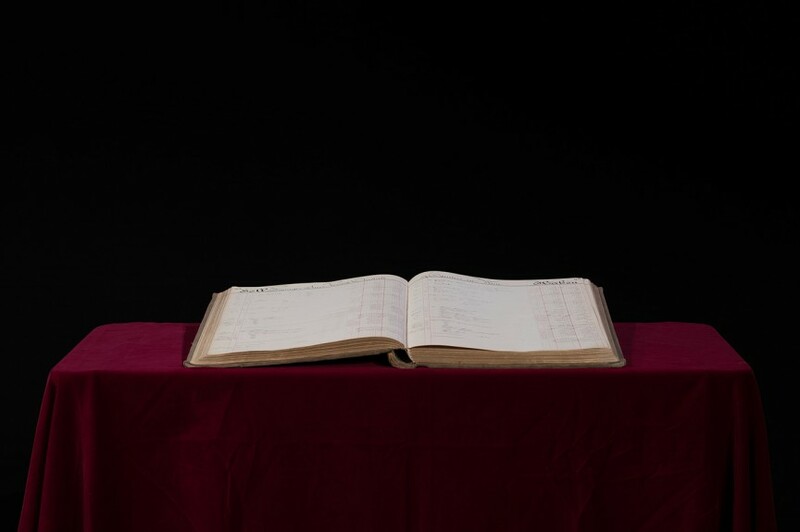 It contains 227 double pages – all of them filled in, with each account thoroughly written by hand using a dip pen and ink. 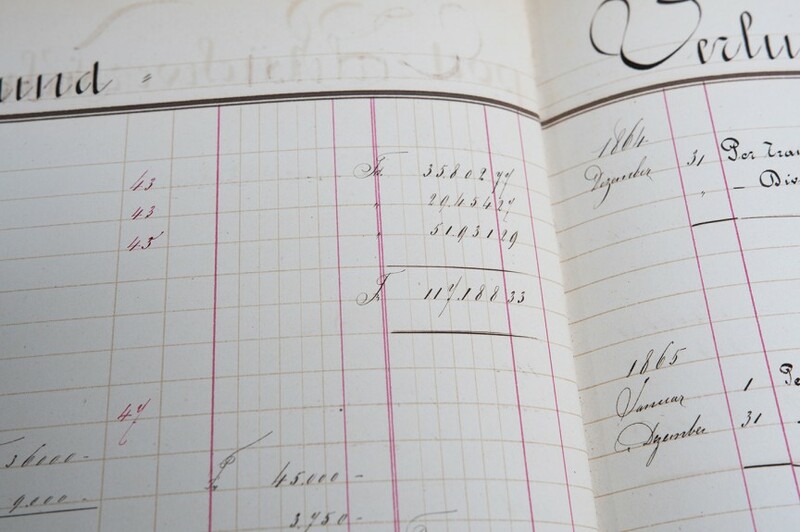 Back then, an accountant made on average 15 entries in the ledger each day. That's quite a difference from the hundreds of thousands of bookings per day Swiss Re processes 150 years later. The first account is the "Capital Conto" which shows the share capital – at that time, an amount of CHF 6'000'000. 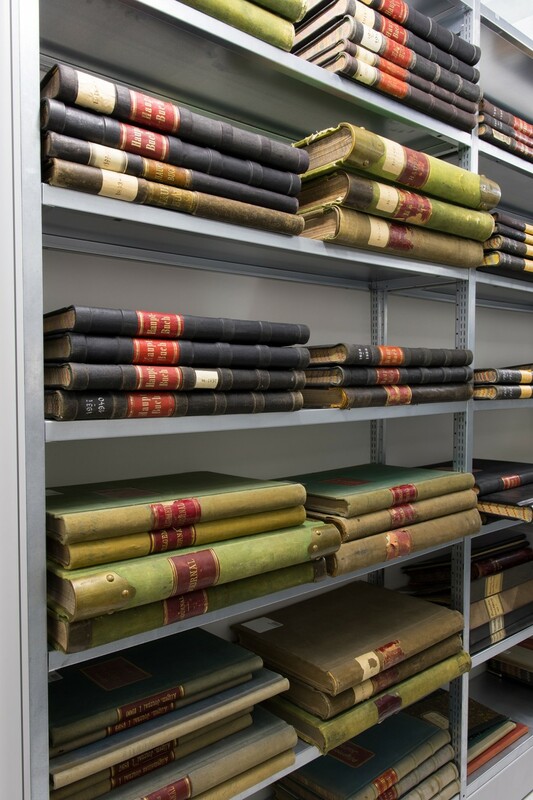 The old general ledgers are important historical sources in which many details of Swiss Re's early days of business can be discovered. Some accounts, for example, deal with Swiss Re's very first foreign office that was established in Paris in a cooperation with the Helvetia Fire Insurance in 1865.